The idea was beautifully simple. Our team at Grab is always looking at ways to not only improve the overall user experience of our app but to also innovate with features that would change our passengers’ riding experience. We wanted to improve communication between passengers and drivers, hence the idea of GrabChat was born. 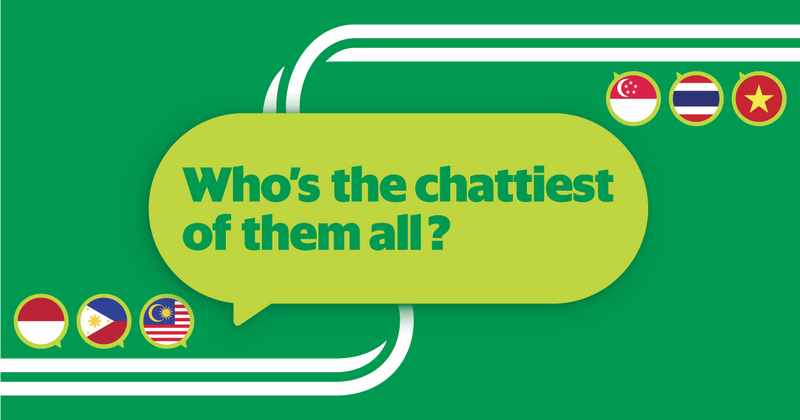 Malaysians also spend lots of time texting on their phones – so why not give them a chat feature within the Grab app? Ever since launching GrabChat in October 2016, our humble messaging function has exploded with 78 million messages traded across the region. Because You Get To The Point. Fast. Why call the driver if you can send him a quick text? The average length for each GrabChat message is four words with succinct phrases like “Stuck in traffic” or “OTW” being the most popular. Busy commuters favour sharp and direct communication – making text perfect. Over here in our sunny island, “I’m coming down” was an unusually popular phrase – perhaps reflecting how high-rise buildings are a key part of our city-state’s landscape. Early on, we noticed that telco companies in certain countries charged for calls or SMSes made to phones on a different network. Travellers in Southeast Asia were also incurring expensive international roaming charges when calling their Grab drivers. GrabChat eliminates such fees as users don’t have to leave the app to communicate. To date, we estimate total savings approaching US$1 million in local SMS charges alone across the region. Our pre-set messages can be sent in a second and are especially hot among drivers, accounting for over 50% of their messages. Tapping on a template like “I’ll be there in a few mins” is a small innovation, but it takes a huge mental load off busy drivers who don’t have time to text while navigating traffic – and lessens their distractions on the road. For passengers too, triggering a template like ‘Can you wait for 5 mins?’ may be all you need to get your driver to stay put while you send off that last e-mail at work. What happens at the end of your ride? All GrabChat messages are wiped from your phone and the drivers’. He speeds off with no record of the conversation. It’s faster, secure and with cost savings to boot! We’d tell you more, or we could just show you instead. Update your app to the latest version now to enjoy GrabChat now. GrabChat is an in-app messaging feature that lets you communicate with your driver without incurring SMS or phone charges. Your number is not revealed and all message history is erased once you alight from the vehicle to safeguard your privacy. Give it a go!